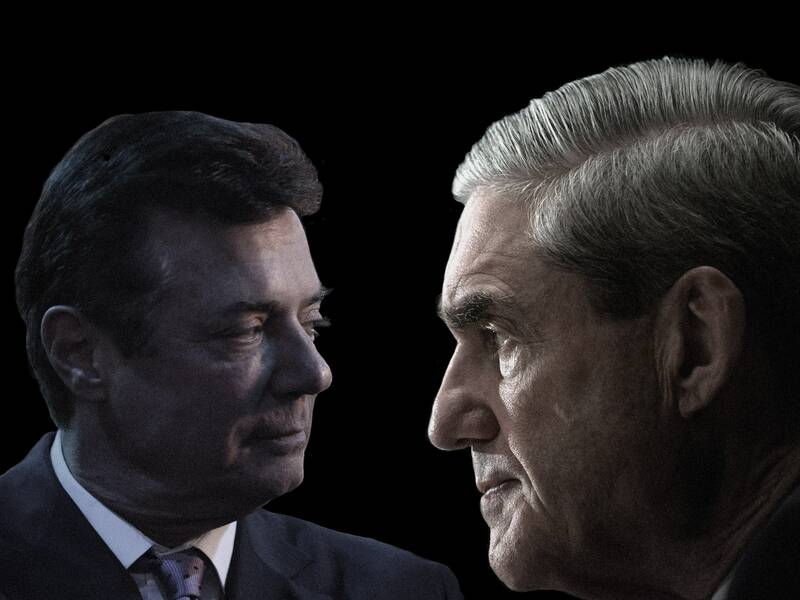 ..THE MUELLER INVESTIGATION NEARS THE WORST CASE SCENARIO… – A Nibble – A Bite – or a Meal! WE ARE DEEP into the worst case scenarios. But as new sentencing memos for Trump associates Paul Manafort and Michael Cohen make all too clear, the only remaining question is how bad does the actual worst case scenario get? The potential innocent explanations for Donald Trump’s behavior over the last two years have been steadily stripped away, piece by piece. Special counsel Robert Mueller and investigative reporters have uncovered and assembled a picture of a presidential campaign and transition seemingly infected by unprecedented deceit and criminality, and in regular—almost obsequious—contact with America’s leading foreign adversary. A year ago, Lawfare’s Benjamin Wittes and Quinta Jurecic outlined seven possible scenarios about Trump and Russia, arranged from most innocent to most guilty. After the latest disclosures, we’re steadily into Scenario #5, and can easily imagine #6. The Cohen and Manafort court documents all provide new details, revelations, and hints of more to come. They’re a reminder, also, that Mueller’s investigation continues alongside an investigation by federal prosecutors in the Southern District of New York that clearly alleges that Donald Trump participated in a felony, directing Cohen to violate campaign finance laws to cover up extramarital affairs. Through his previous indictments against Russian military intelligence and the Russian Internet Research Agency, Mueller has laid out a criminal conspiracy and espionage campaign approved, according to US intelligence, by Vladimir Putin himself. More recently, Mueller has begun to hint at the long arm of that intelligence operation, and how it connects to the core of the Trump campaign itself. In fact, what’s remarkable about the once-unthinkable conclusions emerging from the special counsel’s investigation thus far is how, well, normal Russia’s intelligence operation appears to have been as it targeted Trump’s campaign and the 2016 presidential election. What intelligence professionals would call the assessment and recruitment phases seems to have unfolded with almost textbook precision, with few stumbling blocks and plenty of encouragement from the Trump side. Mueller and various reporting have shown that the lieutenants in Trump’s orbit rebuffed precisely zero of the known Russian overtures. Each approach was met with enthusiasm, and a request for more. Given every opportunity, most Trump associates—from Paul Manafort to Donald Trump, Jr. to George Papadopoulos—not only allegedly took every offered meeting, and returned every email or phone call, but appeared to take overt action to encourage further contact. Not once did any of them inform the FBI of the contacts. For years, Russia has known compromising material on the president’s business empire and his primary lawyer. And it seems possible there’s even more than has become public, beginning earlier than we might have known. As Mueller’s report says in Cohen’s case, “The defendant also provided information about attempts by other Russian nationals to reach the campaign. The defendant recalled that this person repeatedly proposed a meeting between Individual 1 [aka Donald Trump] and the President of Russia. In other words, the only reason Cohen didn’t pursue a Kremlin hook-up was because he didn’t need a Kremlin hook-up—he already had one. Much of Friday’s filing by the special counsel about Paul Manafort, meanwhile, outlines at great length how he allegedly lied to Mueller’s office about both his contact and the content of those contacts with Konstantin Kilimnik, a Russian political consultant whom US intelligence believes has ties to Russian intelligence. Further sentences throughout Cohen’s document hint at much more to come—and that the Trump campaign, the Trump Organization, and even the White House likely face serious jeopardy in the continuing investigation. What precisely those “discrete Russia-related matters” are, we don’t know—yet—but the known behavior of the Trump campaign associates and family members appears damning. Not least of all is Don Jr.’s now infamous email, responding to a suggestion of Russian assistance: “If it’s what you say I love it especially later in the summer,” which happens to be precisely when Russia dropped the stolen Clinton campaign emails, funneling them through WikiLeaks, another organization where there appears to have been no shortage of Trump-linked contact and encouragement by a team that allegedly included Roger Stone, Randy Credico, and Jerome Corsi’s conversations with their “friend in embassy,” WikiLeaks founder Julian Assange. It was a pattern that continued right through the transition, as Flynn’s sentencing memo this week also reminds us: Trump’s team was all too happy to set up backchannels and mislead or even outright lie about their contacts with Russian officials. There’s still the largely unexplained request by Trump son-in-law Jared Kushner to establish secure backchannel communications with the Russian government, during the transition, that would be free of US eavesdropping. Nearly everyone in the Trump orbit experienced massive amnesia about all of these contacts during the campaign, including Kushner and former attorney general Jeff Sessions himself, both of whom “revised” their recollections later to include meetings they held with Russian officials during the campaign and transition. The lies by Trump’s team would have provided Russia immense possible leverage. Michael Cohen’s calls and efforts through the spring of 2016, as he sought help for the Trump Tower Moscow project, were publicly denied until last week. But the Russians knew Trump was lying. Similarly, during the transition, Michael Flynn called to talk sanctions with Russia’s ambassadors—saying, in effect, don’t worry about Obama, be patient, we’ll undo it—and then covered up that conversation to federal investigators and the public. But the Russians knew Flynn was lying. For the first weeks of the Trump administration in January 2017, then acting attorney general Sally Yates ran around the West Wing warning that Russia had compromising material on the president’s top national security advisor. While Trump has tried to slough off the Trump Tower Moscow project since Cohen’s plea agreement as “very legal & very cool,” the easiest way to know that they don’t believe that themselves is that they lied about it. For years. “The fact that [Trump] was lying to the American people about doing business in Russia and that the Kremlin knew he was lying gave the Kremlin a hold over him,” the incoming chair of the House Judiciary Committee, Jerry Nadler, told NBC’s Meet the Press on Sunday. The most obvious scenario is the most likely scenario. As Mueller put it in Friday’s Cohen court documents: “The defendant’s false statements obscured the fact that the Moscow Project was a lucrative business opportunity that sought, and likely required, the assistance of the Russian government. If the project was completed, the Company could have received hundreds of millions of dollars from Russian sources in licensing fees and other revenues. The fact that Cohen continued to work on the project and discuss it with Individual 1 [aka Donald Trump] well into the campaign was material to the ongoing congressional and SCO investigations, particularly because it occurred at a time of sustained efforts by the Russian government to interfere with the U.S. presidential election. That means something specific in the way that federal prosecutors speak, and given how ethics constrain them to verify statements before allowing them to be made in court. It’s clear that Mueller’s team and the prosecutors in the Southern District aren’t just taking at face value the words of someone who has been pleading guilty to lying to investigators, banks, and tax authorities. “Cohen coordinated his actions with one or more members of the campaign, including through meetings and phone calls, about the fact, nature, and timing of the payments. Surreptitious recordings made by the Cohen and quoted in the document remind us that it’s possible that prosecutors even have recordings of Trump ordering his fixer to commit a felony. Mueller doesn’t say precisely what he has, but the new documents are littered with breadcrumbs—mentions of travel records, testimonial evidence, emails, draft documents, recordings, and more. And he has both a very helpful Cohen and, to at least some extent, Manafort. While the former campaign chair wasn’t cooperative, he did, according to the new filing, testify twice to a grand jury in recent weeks, meaning that his testimony is being used as part of a criminal case targeting someone else. Meanwhile, one of the most intriguing aspects of the Manafort document came in its final paragraphs, where Mueller’s team outlines that the former campaign chairman had been in contact with various administration officials well into 2018. “A review of documents recovered from a search of Manafort’s electronic documents demonstrates additional contacts with Administration officials,” the report says. What—and who—Mueller doesn’t hint at, but it’s surely part of the massive iceberg of evidence resting just below the surface of this case. Put together all the clues, and Occam’s Razor comes to mind: The most obvious scenario is the most likely scenario. And the most likely scenario now is that there was no division between the apparent Trump-Russian collusion on business matters and in the election. The coincidences are piling up. The conversations are piling up. And Mueller’s evidence is clearly piling up as well. ntgmg) is a contributing editor for WIRED and the co-author of Dawn of the Code War: America’s Battle Against Russia, China, and the Rising Global Cyber Threat. He can be reached at garrett.graff@gmail.com.